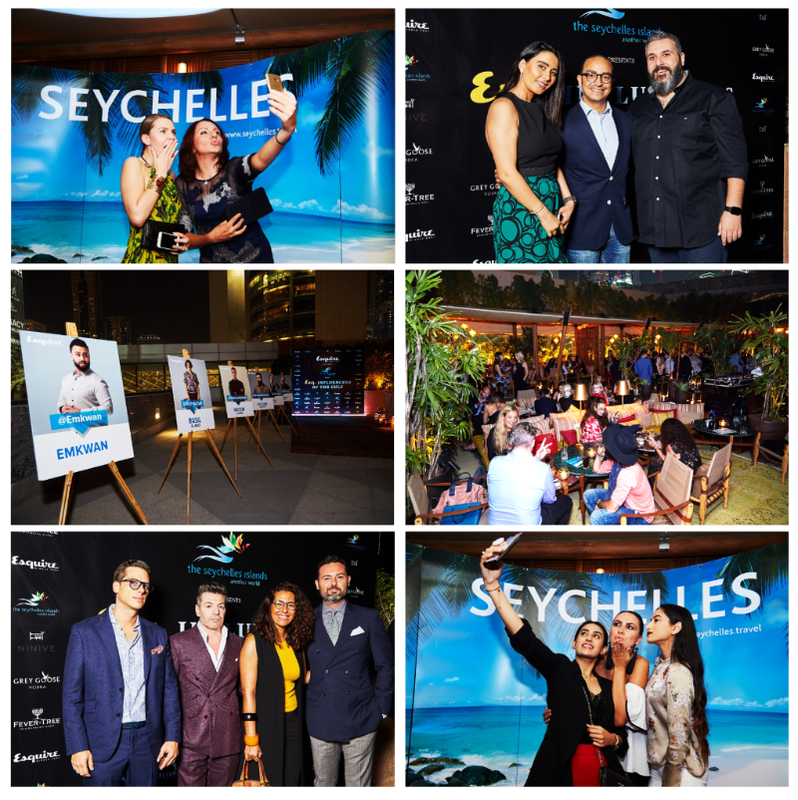 Dubai, UAE, 3rd April 2018: The Seychelles Tourism Board (STB) Office in Dubai had brought in the #ExperienceSeychelles vibe at the Esquire’s Influencers of the Gulf Event last 28th March at Ninive Dubai, Emirates Towers. The event was in collaboration with Esquire, the leading men’s magazine in the Middle East. This invite-only and Esquire-branded event was graced by almost 200 attendees of VVIP and UHNWIs alike as well as the biggest names in social media. It has become a perfect venue for a night of networking and promoting the destination to an otherwise unobtainable database. The advent of social media has opened the creative floodgates for people across the region. In line with the Instagram trend, the Seychelles Tourism Board Office in Dubai jumped in the hype and put up the #ExperienceSeychelles booth where attendees readily posed and uploaded their snaps on their social media accounts. One of them gets a chance to win an all-expense paid getaway to the destination as sponsored by Seychelles Tourism Board Office in Dubai. In return and in line with the vision, Seychelles Tourism Board Office in Dubai will continue to implement activities that can gain continuous support and further the awareness for the destination in the region.